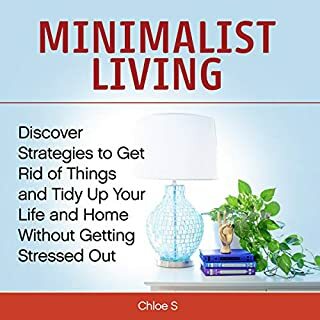 This bundle contains two helpful guides on how to declutter your home to simplify your life with time-saving home organizational tricks, so you can start enjoying a minimalist life. With the right strategies and suggestions, you'll get to spend more time enjoying your beautiful home than tidying it up. This book proves that simple living. This book proves that simple living is for everybody! I appreciate all ideas for incorporating minimalism into parenting and raising kids with gratitude and generosity in the forefront of their minds. I am so thankful for this book and recommend it for anyone interested in minimalism. 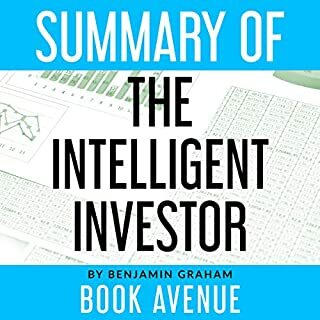 This is the definitive book of value investing. I learned valuable information about investing. I am an MBA student and it has really supplemented my schooling very well. Graham brilliantly teaches the concept of intrinsic value. 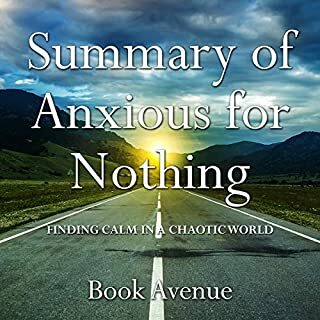 A very encouraging, relevant, and practical look at the scripture... be anxious for nothing. Each chapter takes you deeper into the word, including other ppl's experiences, and has left me feeling empowered. Are you a teen looking for direction? Do you have a teen you feel could use some direction? 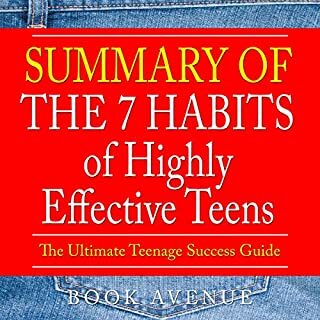 Then Summary of The Seven Habits of Highly Effective Teens is the book you will want to invest in. (Disclaimer: This is NOT the original book. If you’re looking for the original book, it is available from Amazon and Audible.) The book is written towards teens. It is written in a language that is easy to understand. The habits are completely laid out so that they make sense and are easy to follow. The real-life examples make sense. Got this book for my son as apart of his summer listening series. I actually sat down and listen it and i think every preteen should listen this book. Very informative and can help young men and women cope with growing up. This is an informative guide for healing your body and Soul. It has given me great relief by folling the recommendations of food to eat for various ailments...Beautiful colourful pictures as well. My son also uses it as he is a professional athlete.I love tthis book and the previous one from the Medical Medium. 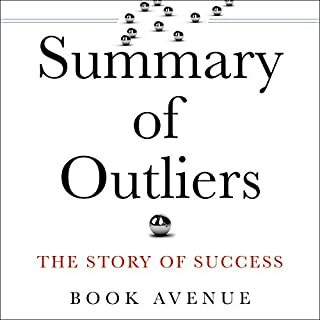 This is very fun to listen with several surprises about how the super exceptional often happens. I learned a lot, and much can be applied in helpful ways. 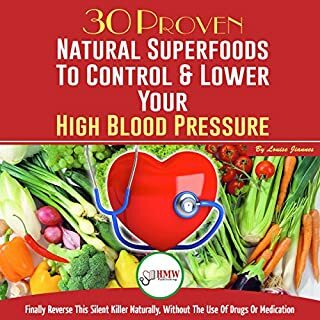 Get ready to be equipped with the basic knowledge about high blood pressure and how to reverse it naturally, without the use of drugs or medications. This book has help me with my high BP readings. The authors' position is that lifestyle drives the blood pressure reading. They provide the information about which lifestyle habits are important to work on. This five-in-one audiobook bundle has everything you need beyond just the ketogenic diet. 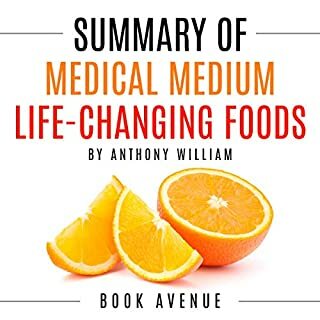 This audiobook includes the following diet guides: 30 Day Paleo Challenge, 30 Day Intermittent Fasting Challenge, 30 Day Ketogenic Challenge, 30 Day Bone Broth Challenge, and The South Beach Diet. 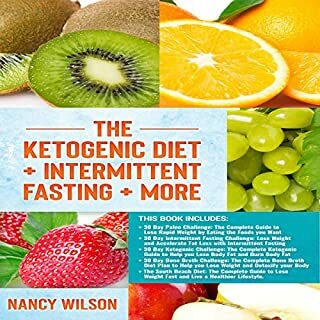 This book gives specific explanation and information about meal plans, eating schedules, exercising, and the whole thing of Intermittent fasting. They also tackles here several benefits of Intermittent fasting over other weight loss methods. I enjoy listening and learning new things about IF. 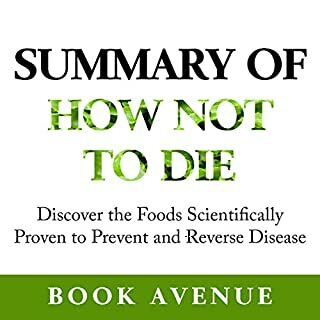 This is a summary of How Not to Die: Discover the Foods Scientifically Proven to Prevent and Reverse Disease, the book you need to have on hand if you or someone you love is fighting any disease. Outstanding book! When I started reading about nutrition trying to counsel my patients correctly I noticed that pretty much everybody agreed that fruits and vegetables are healthy and that we should eat more of it. When it came to meat, dairy, fish and saturated fats, the discussion was vehement and messages were very mixed. Massive attention has recently been directed towards the alkaline diet; there is a surprising increase in the number of people getting into the bottom of what it really is and what makes it so popular - and most importantly how effective it truly is. Which literature should you focus your attention to? Well, you have made the right decision in checking out this audiobook! 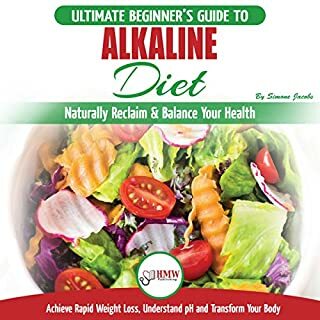 Here, will walk you through all the basic facts you need to know about the alkaline diet: all the necessary things without the hard-to-comprehend nonsense. Very informative, love all the recipes. I already juice regularly but I'm excited to try some of the food and smoothie recipes in the book.